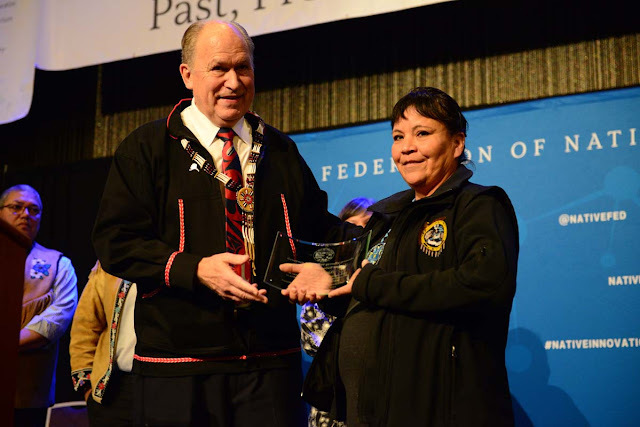 OCTOBER 18, 2018 ANCHORAGE – Today, Governor Walker and Lieutenant Governor Valerie Nurr’araaluk Davidson presented the 2018 Shirley Demientieff Award to three incredible Alaskan women at the Alaska Federation of Natives annual conference in Anchorage. 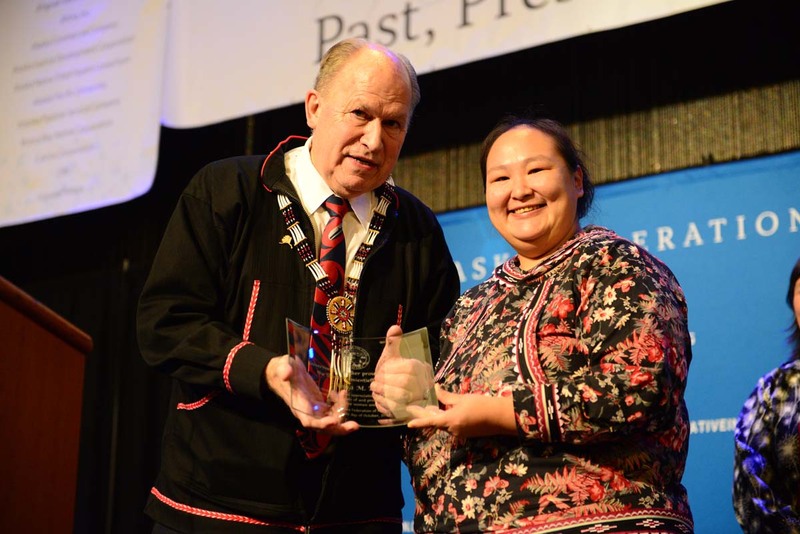 The award recognizes outstanding individuals or organizations who have worked to improve the lives of Alaska Native women and children. 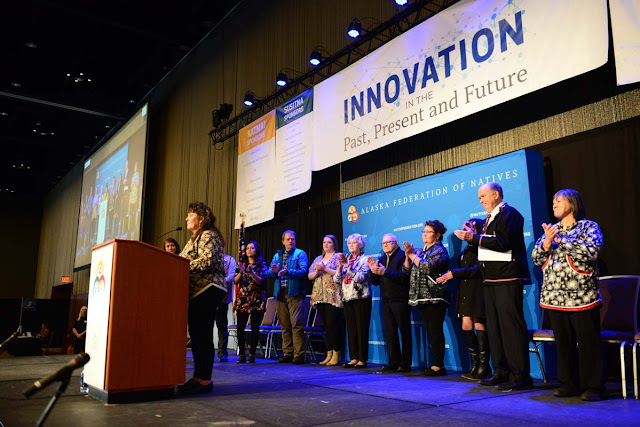 Cynthia Erickson founded the nonprofit youth group “Setsoo Yeh, My Grandma’s House” in Tanana to battle youth suicide and create a safe place for young people to sew, make crafts, and engaged in healthy activity. She travels with the group to other villages, so teens can make healthy connections throughout the region and share stories with one another. The group led a passionate discussion about suicide and abuse in rural Alaska during the First Alaskan’s Elders and Youth Conference in 2013, encouraging people to speak up about violence or neglect they witnessed at home, and helping start a larger conversation statewide about grassroots ways to help communities cope with family violence and substance misuse. Kelly Fields, from Fort Yukon, took action to combat the opioid and meth epidemic in her community. She spearheaded the push that eventually raised more than $200,000 to purchase a drug detection K9 to combat drug trafficking in the region. Her tenacity to stand up and make a change means that 30 Interior villages now have a resource to stop narcotics from flying in to their communities. Anna Bill worked as a Village Police Officer in Mountain Village in 2017. During her tenure, she responded to over 57 suicide attempts: the city estimates that 5-7 percent of the community attempted suicide, and Anna helped save them all. With no training in suicide response, Anna answered as many as three suicide attempts a day, and responded to assaults, active shooter situations, and more. She is the survivor of a suicide attempt as a teenager.